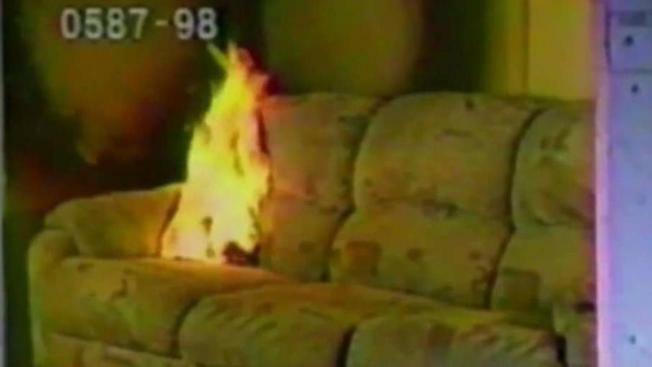 A member of the San Francisco Board of Supervisors is calling for a ban on anything containing a series of flame-retardant chemicals. Lawmakers discussed the ban at a Tuesday meeting at City Hall. Supporters, including firefighters, said the ban would lower cancer rates and developmental problems that studies said are linked to the chemicals. But critics disagree and nobody seems clear on what it would mean for thousands of the cities retailers. Supervisor Mark Farrell lists items in his office that likely contain flame-retardant chemicals. "It exists everywhere," Farrell said. The supervisor adds carpet, blankets and children's products -- items residents likely will have in their homes -- that he believes are hazardous. "It has to stop," Farrell said. "Someone needs to take a step forward." Farrell introduced legislation to ban the sale of any item containing the flame-retardant chemicals in San Francisco. So what would the ban mean for thousands of retailers who sell the products in the city? Farrell said they will have at least until the start of next year to rid their inventory. A lobbying group that has successfully blocked similar state legislation responded to the ban and said the idea is short sighted. "Flame retardants provide consumers with a critical layer of fire protection. It is important for all San Franciscans to remember that flame retardants, like all chemicals, are subject to review by the U.S. Environmental Protection Agency. So consumers do not have to choose between chemical safety and fire safety, as we can have both."